Two years ago, my debut record was successfully funded by friends, family, and fans. Because of you (or people like you) I was able to create an album with true artistic vision. I'm now working on new music that I'm really proud of and need your help. I'm not trying to make large profits creating music, I just want to continue to to keep creating. On average it costs me about $600 to write/record/and produce a new song and sadly music streaming doesn't pay much for an artist like me. 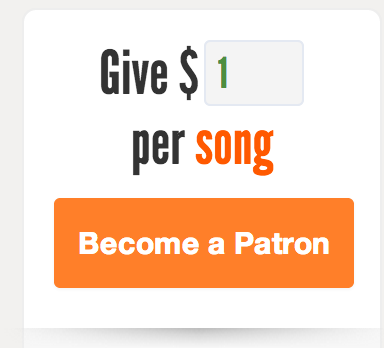 Instead of launching a Kickstarter this time, I'm asking people to make on-going contributions on a per song basis... it can be $1, or whatever you want. Thanks for tuning in! Enjoy the rest of your day.